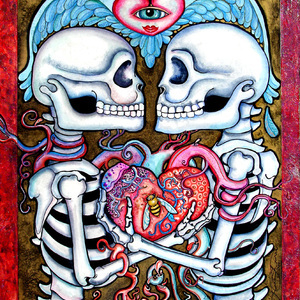 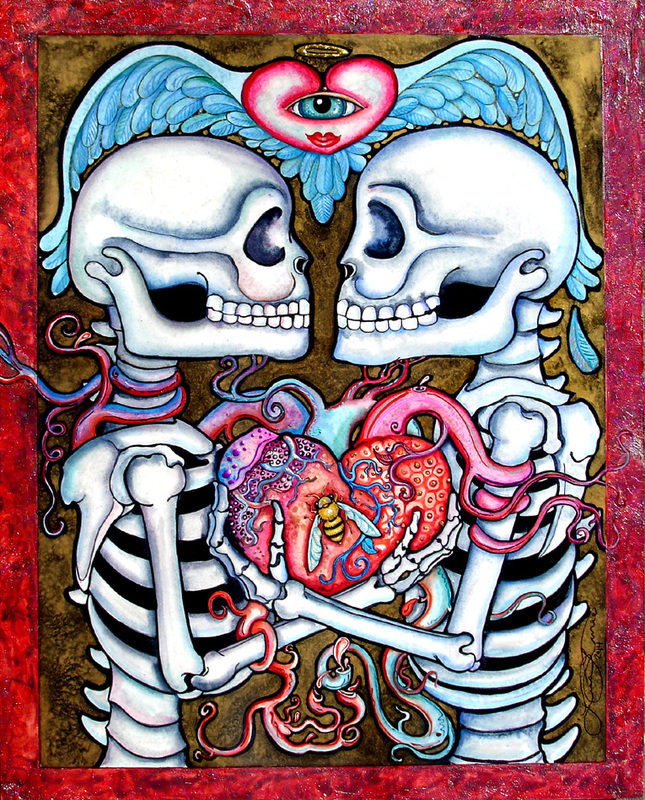 Two skeletons embrace a common heart. 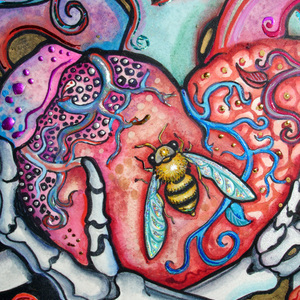 A honeybee dons the heart - a symbol of the energy it takes for love to grow - as well as the sting of new found love. 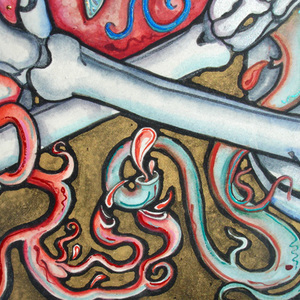 This piece has become a foundation piece for me - the very first image I have ever had captured for giclee prints. 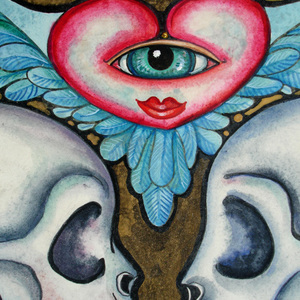 If you are interested in a print of this image - or any other Dia de los Muertos art please watch my site!